Situated in White Bear Lake on one of the highest points in Ramsey County, Manitou Ridge offers sweeping vistas of the metropolitan area. Challenging 18-hole, par 71 course. Large, natural grass practice range. Snack bar and full liquor lounge. 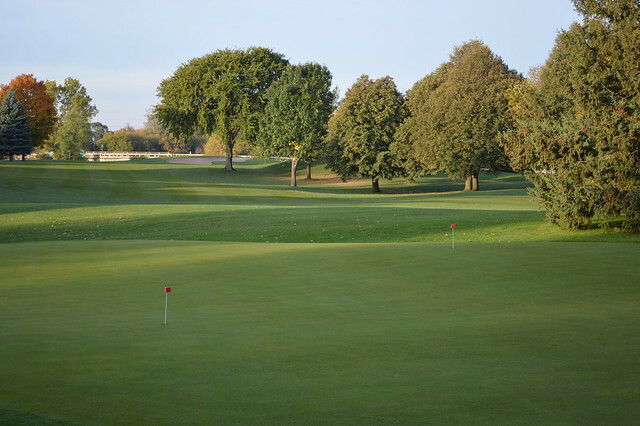 During golf season, the course is open daily from 7 a.m. until one hour after sundown. Times may be adjusted due to weather conditions and league play. Available anytime Monday - Friday and Saturdays, Sundays and holidays after 2 p.m.
Manitou Ridge offers adult and junior lessons, and a number of options for league play. Contact the clubhouse for league pricing and availability.